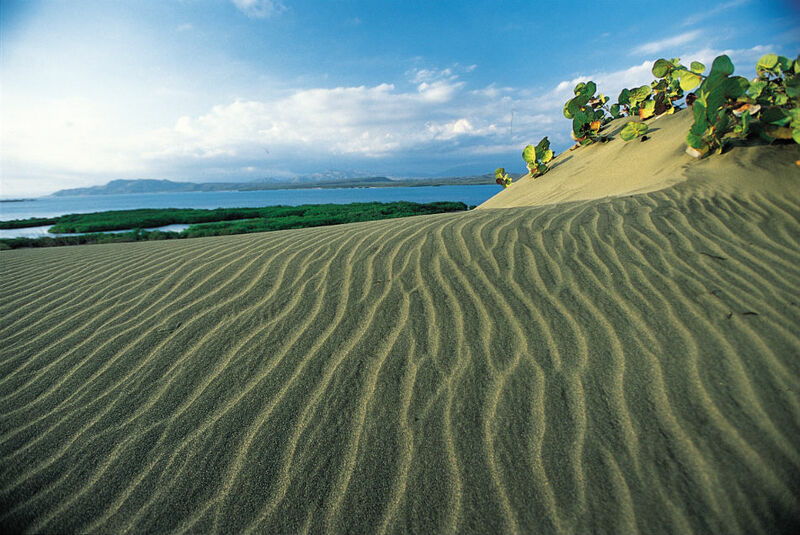 The Dunes of Baní are located in Las Calderas Peninsula, between the cities of Matanzas, Las Calderas and Las Salinas, in the Dominican Province of Peravia. The dunes field goes throughout Las Calderas Peninsula in an east-west straight line of 15 km. The sand of these dunes is very smooth due to the abundant quartz and feldspar it has. They are formed by the deposits of the Bahía Stream and the Nizao River, a natural phenomenon that started in the Pleistocene. 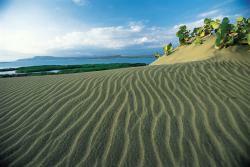 The highest dune is 35 m tall and it has specific wildlife. The flora belongs to the subtropical dry forests, although it is characterised by the presence of red, buttonwood, dark and white mangrove red, while the olive tree and the mesquite are some of the trees present in the area. Regarding to the fauna, there are some little lizards belonging to Leiocephalus species and Ameiva genus, but there are no amphibians due to the dry climate and the salinity of the area. Among the bird life, there are some species such as tricoloured herons, whydahs, frigate birds, flamingos, night herons, seagulls and common ground doves. There are some flatlands here, called “vallecitos” (dells) formed by deposits of the sea shore. 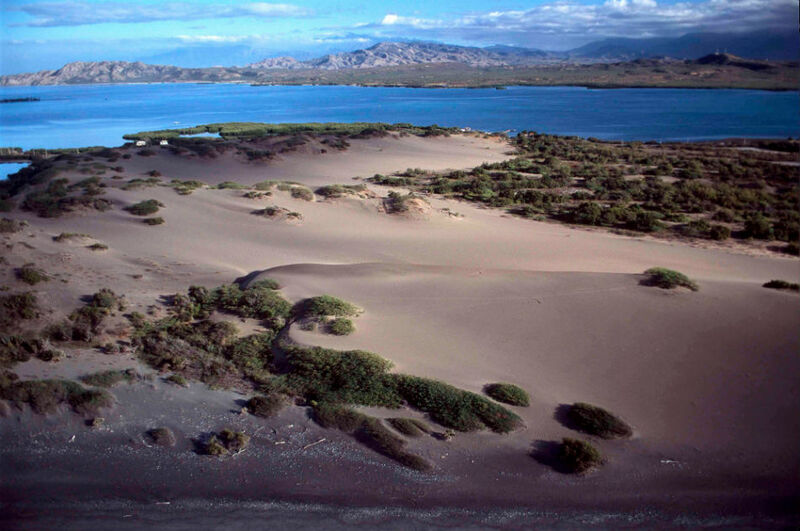 These places are called “salados” (salted areas) and become flooded by seawater, as it happens in Salado del Muerto. 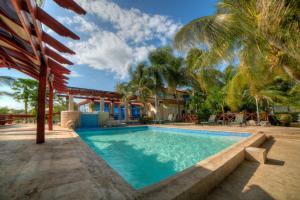 Las Calderas Peninsula, between the cities of Matanzas, Las calderas and Las Salinas, in the Province of Peravia, in Dominican Republic.